Morning Exercise Time! Morning Exercise Time! Morning Exercise Time! 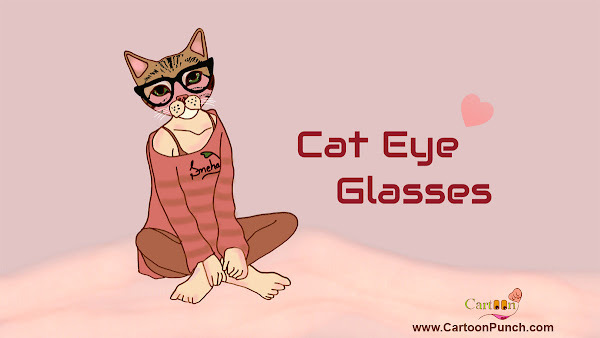 Home » Cartoons » Morning Exercise Time! 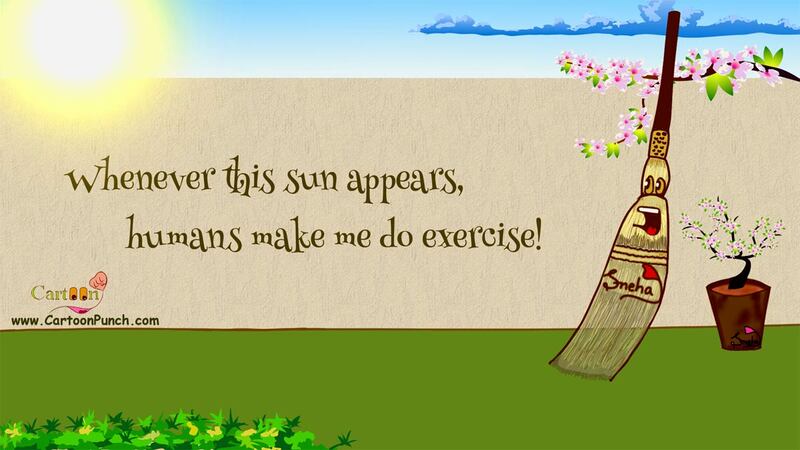 Illustration: A broom in backyard garden getting sad by seeing Sun and saying, "Whenever this sun appears, humans make me do exercise!" Some do yoga in morning, and some meditate! But kids take it as an activity which irritates! How do you take morning exercise time? Like a torture, as a ritual, or consider it as something prime? People take their morning motivation for exercise from mirror! But ah early mornings and their sweet sleeps! Exercising looks like Hitler that time, which strike terror! The motivation evaporates in minutes for that sleep! 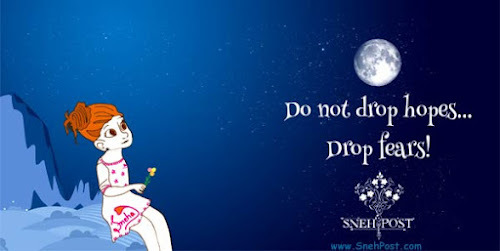 Without thinking of results which that sleep makes us reap! Still the spirits don’t die! Every next day, they take a new fly! We go for shopping to buy track suits! And also a pair of stylish sports shoes! Some add a sports band too! This is how we struggle hard! Without noticing about a companion that resides often in your back-yard! Every day it thinks of you, with a long face saying ‘damn’! It feels pity about itself as it can’t be on the lam! We humans make it do exercise! It can’t escape however hard it tries! Are you unable to recognize, whom you send to doom? It is none other than your cleaning stick that is known as a broom! 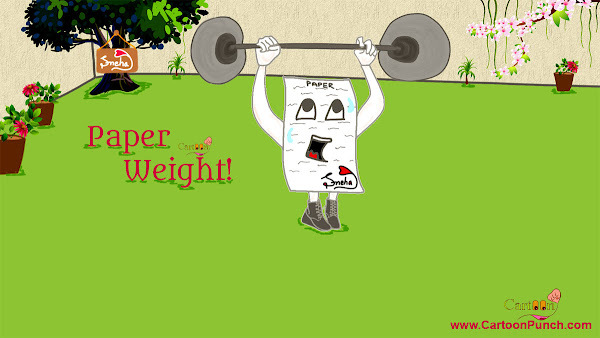 Without consuming any food or fuel! Whole day it gets bored and yawns in the lawn! Otherwise it rests with its every bone! Still it enjoys its lazy hours and loves its comfort zone! For saving its sleep from breaking because of noise! It doesn’t get any choice! What remains left for it is just doing its job! Hi, I am Drum Black! 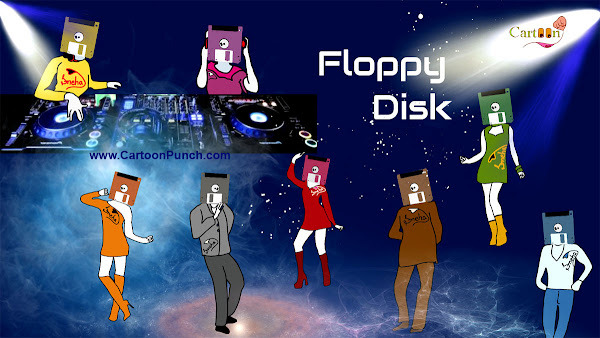 People sing with me, dance on me! I love the crowd around! Oh, I damn love that foot-tapping surround! 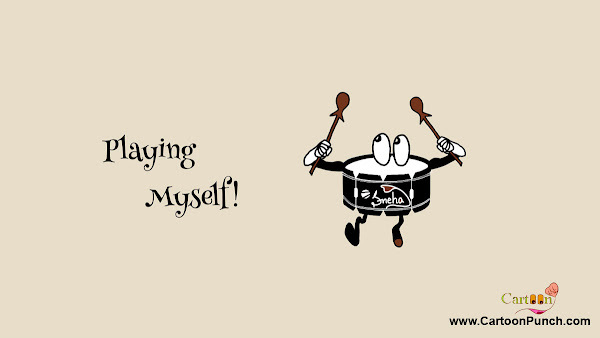 I play myself and hit my favorite beats! 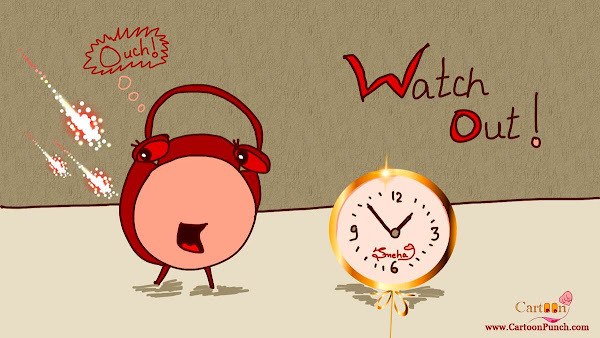 When the Watch Didn’t Watch-Out: See how a watch came out of its shell when an uninvited cracker (rocket fire flame) attacked it suddenly! 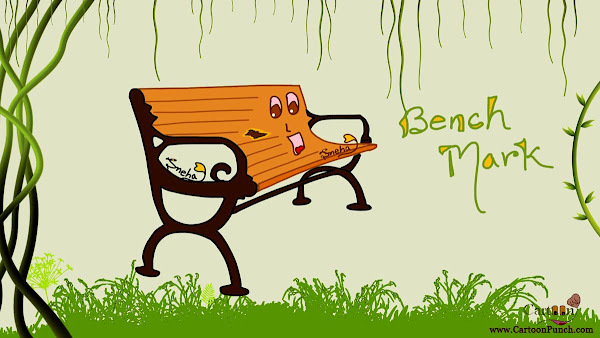 Check out the reaction of a bench in garden, which got a bench mark by a beautiful lady! 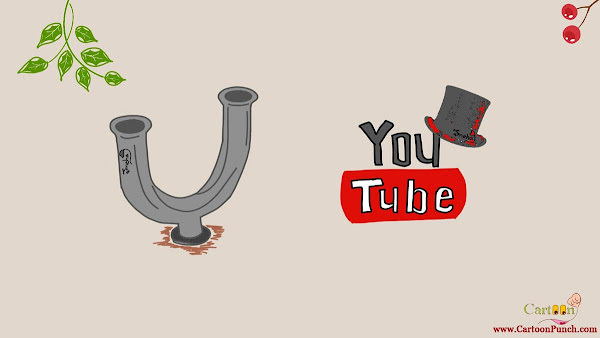 U-Tube gave YouTube idea: Enjoy the success poetry of a singer who failed giving the auditions and later tasted success through uploading the cover songs on YouTube! 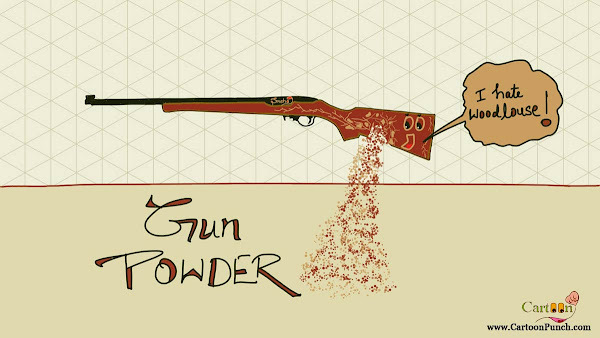 Enjoy the fun letter by a gun to its gun-creator about gunpowder! 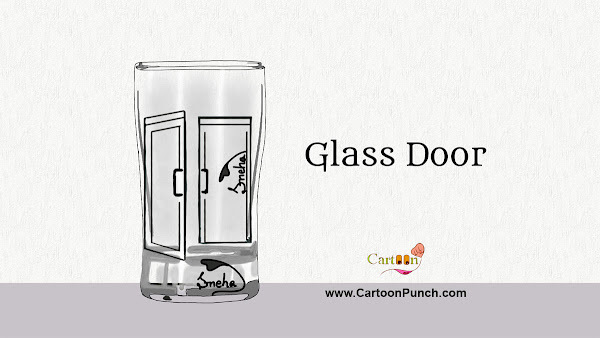 Know the hate story of wood and woodlouse with funny cartoon illustration! Let's celebrate a wallpaper day! 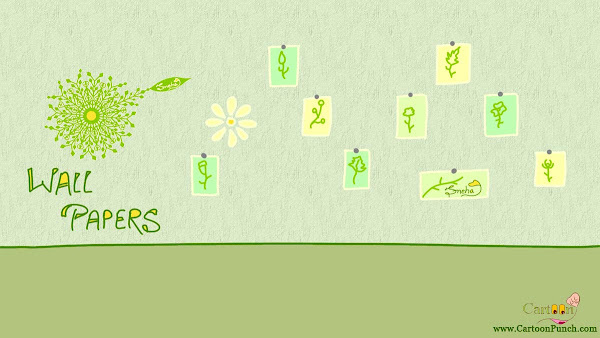 Enjoy a 'Go green' wall and happy poem on wall papers! 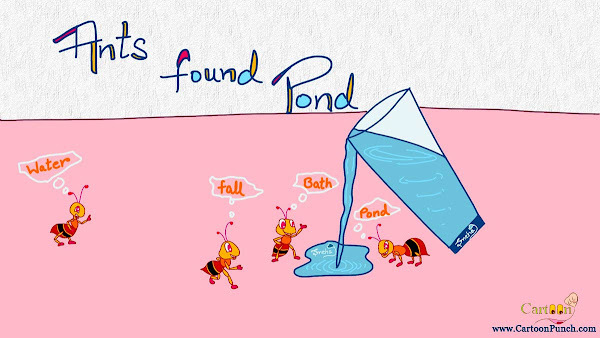 Ants Found Pond Cartoon: ants getting happy and rejoicing seeing water with different thoughts about spilled glass water- "water", "fall", "bath", "pond". 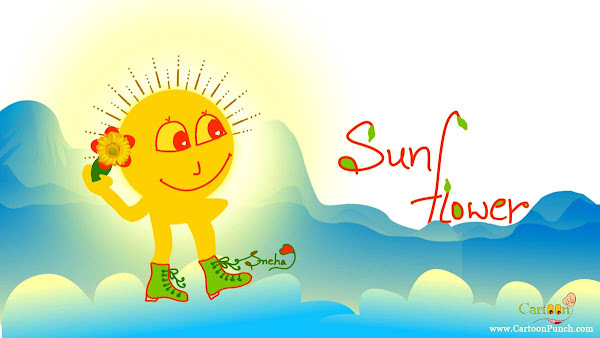 Illustration of Sunflower donning Sun who is walking on clouds in the sky and enjoying itself! 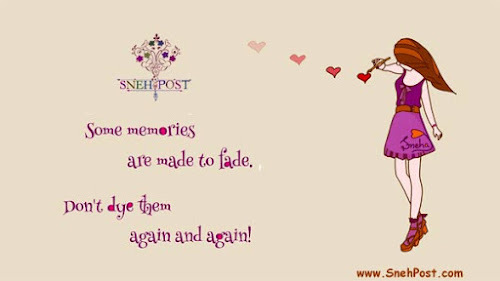 Know about the Facebook in past! 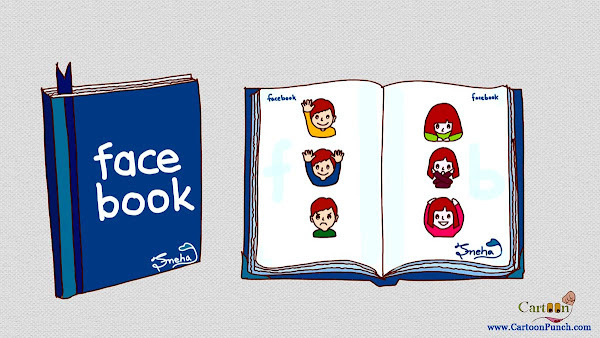 A fun story of face book appearance, functions and usage warnings! 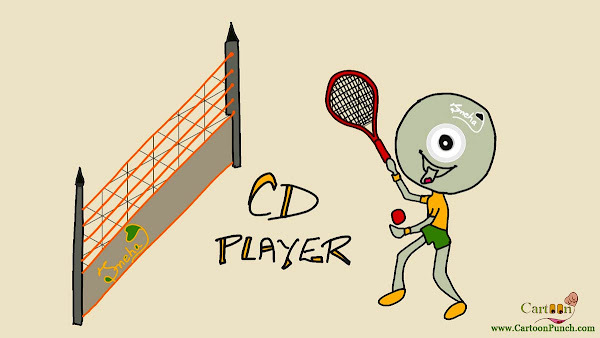 When a CD turned player! It is always so much fun to be in badminton court and hold that racket to play! 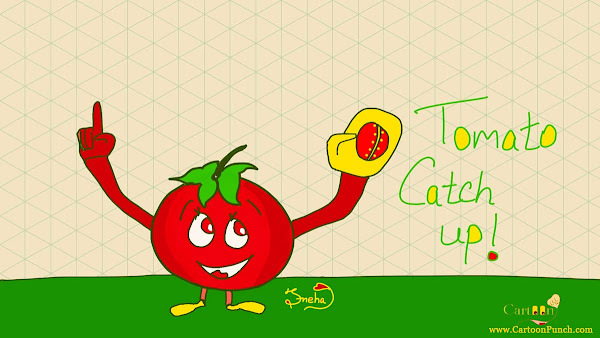 When a cricketer tomato catch up and shows his happiness!